When voters are selecting a candidate to vote for, they are typically looking to back a person they believe is a leader. Leaders are seen as informed members of the community. Leaders have ideas and solutions about fixing certain problems. To be such a leader and not just another politician you must stay informed on a variety of issues you may be asked about. But how do you stay up on current events, campaign for office, keep up with your work, and still have time for your family? It’s a juggling act for sure. However, by setting aside time each morning to check these three types news, you can stay up to date and be able to talk with the voters about whatever issues on their mind. The first thing you should check is your local news. Why? Because all politics is local, whether you are running for City Council or Congress. What happens at the local level will affect your political fortunes more than anything else. That’s because things that occur in a community will have a more direct impact on your voters than most things that occur in Washington D.C. or your state capital. Since The Campaign School typically serves candidates for local elected office, checking the local news each morning is essential for you. I once worked with a candidate for city council who refused to read the local paper because it was too biased.He was advised that he had to read the local section whether he agreed with the editorial point of view or not, since that was the news the voters in his district were reading and would want to talk about. That same advice applies to you, regardless of the office you are seeking. If your community has a daily local newspaper, you need to read the entire local section either in the physical paper or online. The same is true of weekly newspapers that are also in circulation. If your community has a local talk radio station, that will also be a good source of news. Morning news on a local television station will also provide you plenty of information. The stories are often quite short and don’t get too deep on TV. If there’s a story you see on TV that could be an issue for your campaign, you can likely get more in depth reporting from a newspaper or talk radio host who covers the story too. While there are many policy and legal changes that may impact people in Washington, the laws and regulations passed down in a state are far more relevant to your community. They’ll have a direct impact on you and your constituents. To know what’s going on in your state, after you’ve updated yourself on the local news in your community, see what’s going on in your state. That said, in the last few years I’ve noticed that cutbacks at many newspapers has led to a decline in coverage of state politics. If that’s the case with your paper, you will need to check other sources of state news. In California where I live, there is a website dedicated to aggregating news coverage about political events in the state. It’s called Rough and Tumble. If you’re a candidate in California, I highly recommend adding Rough and Tumble to your news habits, even if you just read the highlights of the stories they list daily. If you’re in another state, you should look for a state news website or service that aggregates stories in a similar way. It’ll save you lots of time you’d otherwise have to spend searching different news sources. It’ll also provide you with a quick snapshot of everything of political importance happening in your state. While our country is highly fixated on news from the national level and the federal government, this is the last thing you check. You need to be versed in the issues as a local candidate, because the voters will bring them up. However, unless you are running for Congress, you won’t be taking action on federal issues or addressing national problems in local elected office. As a consultant who’s emphasis is working with local candidates to help them win elections, I assure you that most of the time what’s happening in Washington D.C. has very little to do with campaigning for local office. Yet the voters will be much more aware of those things thanks to 24 hour cable news, syndicated talk radio, and political posts on Facebook. Since these national issues will come up, you need to have a certain amount of familiarity with them. I’ve found that the best two sources for my morning national news briefing are the Wall Street Journal and NPR. There’s also a national news aggregator that is very useful called Real Clear Politics. If you check out the top stories of both, you’ll have a pretty well rounded view of what’s happening in our nation’s capitol and how the different sides and factions are weighing in on those events. That city council candidate who refused to read the local paper took the advice and starting reading it daily. He won his election and two more, serving his city in office for 12 years. While he never became fond of his local paper, when other candidates came to him for advice for running he always told them to be sure to read the paper daily. I hope you take his advice and put it into practice. 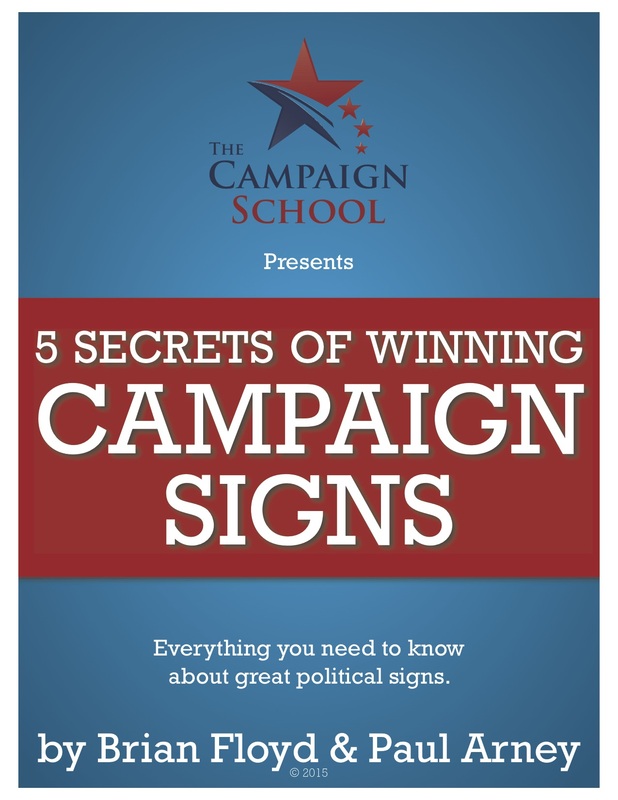 It’s that important for you and your campaign. Each morning before you leave or while you’re caffeinating yourself at Starbucks, check those three news sources: your local news, the news from your state, and the national news. This will keep you informed throughout your campaign. When your knowledge of those issues is called upon by the voters, you’ll be well prepared to discuss the subject matter. That alone will help you stand out as a leader instead of just another politician seeking a vote.